Idan Raichel, former MK, and prominent journalist to be recognized for their work for the Ethiopian Israeli community. 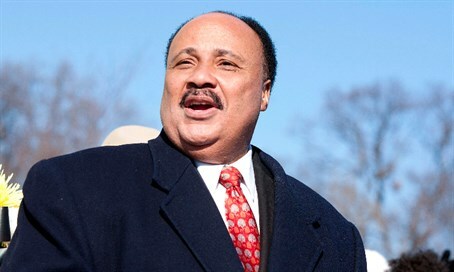 Martin Luther King III, the son of American civil rights icon Martin Luther King, Jr. and President of the Drum Major Institute, along with Chairman of the Executive of The Jewish Agency for Israel Natan Sharansky are holding a special ceremony Sunday to honor Ethiopian-Israeli community activists. Honorees include singer Idan Raichel, former MK Pnina Tamano-Shata, and journalist Anat Saragusti. The three will receive the 2016 Unsung Hero Award from the Drum Major Institute, a civil rights organization established in 1961 by MLK advisor Harry Wachtel and revived in 1999 by Martin Luther King III, New York attorney William Wachtel, and former United States Ambassador to the United Nations and Mayor of Atlanta Andrew Young. The event will take place at 10:30 a.m. at the National Institutions Building (Jewish Agency headquarters), 48 King George Street, Jerusalem.